All electric heaters are 100 percent efficient. That is, they convert all the electrical energy they use into useful heat. But they differ markedly in the way they distribute the heat into a room. We explain which type of heater is best for each situation. The most popular type of convection heater is the upright oil-filled column heater. These are designed to provide background warmth. They warm the air near the element or body of the heater. The warm air circulates by natural convection around the room. Many have a fan, which our tests have shown provides faster warm-up and more even heating. The most popular type of convection heater is the upright oil-filled column heater. Less popular, but cheaper, is the box type with a heating element in the bottom and a grille at the top to let the warm air out. Fan heaters squat on the floor and provide a blast of warm air directly onto your body. They're not as good as convection heaters for providing general background warmth, as the fan can be noisy and cause draughts. These have glowing electric elements with reflectors to radiate heat directly onto you. 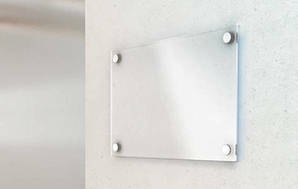 They provide quick directional heat to a small area of a room and also provide some convection heat. Heat pumps collect heat from the air outside the house and release it inside. Although they run on electricity they collect far more energy than they use: up to 3 times as much. The colder it is outside the less efficient they are. Heat pumps are expensive to buy (from $2750 upwards installed) but very cheap to run. As with any heating, however, the costs mount up if you leave them on all the time over winter. See our Heat pumps report for more information. Panel heaters are convection heaters that mount permanently on a wall and are designed to provide background heat. They are permanently wired and usually use electricity at the normal daytime rate. Night-storage heaters are also permanently installed convection heaters, but they use off-peak night-rate electricity. They store the heat for slow release during the day. Infrared heaters claim they can give you the sensation of a warm summer day on a chilly evening. We tested infrared panels against electric fan, radiant and oil-column heaters to see how they compare. We explain which types of heater are best for specific rooms. Lounge/family room areas need background warmth. 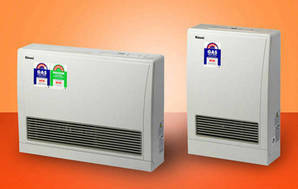 Heat pumps are the best long-term choice, but panel and other convection heaters are also suitable. You might also want some specific spot heating, say if you're watching TV or standing at the kitchen sink. A portable fan or radiant heater will do the job. Bedrooms require less heat than living areas: you only need to keep the chill off. Choose from a panel or oil-filled column heater with thermostat and maybe a timer. A night-store heater in the passage is also an option. Service or workshop areas are best heated by portable fan or radiant heaters. 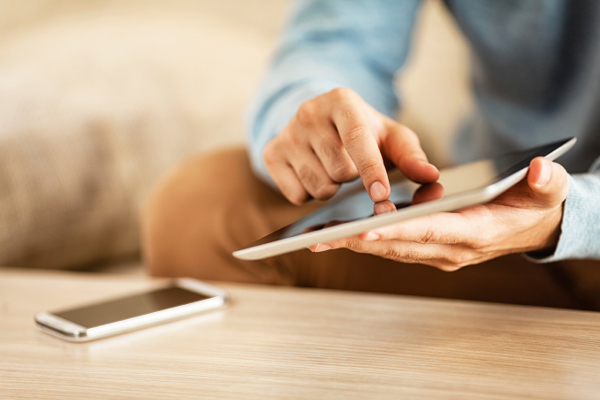 Our calculator allows you to estimate the capacity of heater you’ll need to maintain a comfortable temperature. Measure the width, depth and height of the room to be heated and enter the figures into the calculator. Thermostats help maintain an even temperature and conserve electricity. Timers allow you to turn a heater on to warm up the kitchen before you get up, or to turn a heater off after you have gone to bed. Fans help warm up a room faster and distribute the air more evenly, by preventing heat build-up near the ceiling. A quick guide to choosing the right-sized heater. Allow about 44 watts per cubic metre of room volume. Add another 10 percent for a large window area and another 10 to 20 percent for partial or no insulation. If it's a lounge, multiply by 1.5. If it's a bedroom, make it 1.2, and for other areas multiply by 0.8. Example: A well-insulated bedroom 3m x 4m x 2.4m high has a volume of 28.8 cubic metres. Multiply by 44 to get 1267 watts, and again by 1.2 to get 1520 watts (1.5kW). 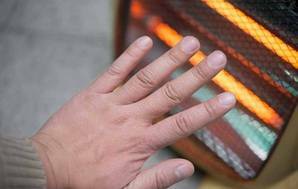 All heaters can be dangerous, especially if they are used incorrectly or not properly maintained. Surface temperatures can be high enough to burn skin if contact is sustained. Oil-filled column heaters have lower surface temperatures than most other types, especially the styles with wide or shielded fins. All styles of column heater are tall and heavy and can cause injury if falling on a child, but again, the wide-finned versions are safer in this respect. All new heaters have to pass stringent safety tests to ensure that fires don't occur if the heater overheats due to air inlets being covered or blankets or towels falling on the heater. But these safety standards were not in place when many of the older types of heater now available in second-hand shops were made. A tilt switch is a good safety feature: it will turn the heater off if it tips over. What do electric heaters cost to run? The purchase price of each type of heater varies enormously, depending on brand, size, time of year and other factors. But all plug-in heaters are expensive to operate compared with heat pumps or woodburners. Electricity for plug-in heaters costs from 23 to 31 cents per kWh depending on your power supplier and tariff plan. Example: If you run a 2kW heater on high setting for 5 hours per day at a cost of 25 cents per kWh, this will amount to $2.50 per day or about $75 per month. A thermostat can save some of this. Heat pumps work out cheaper because they generate more heat than their electrical power consumption. Useful considerations when buying a heater. If you don't need a heater at the beginning of winter, wait. They are often sold on special from around the middle of the year. If you're buying a fan heater or a convection heater with a fan, listen to it in the shop. Some are surprisingly noisy. If you can afford the initial outlay, don't use plug-in electric heaters as your main source of heat. Over time, it will be more expensive than other options such as a heat pump, a flued gas heater or a woodburner. Keep warm with one of our tested heaters. With heat pumps in more than a third of homes, is there still a place for gas heaters? We assessed 2 flued models on performance, economics and ease of use to see if they can compete.